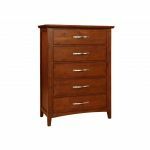 The Leona dresser is constructed of Solid American Alder and Alder Veneers in a Natural Alder finish. The clean lines and sleek hardware will make the Leona collection a beautiful addition to your master suite. 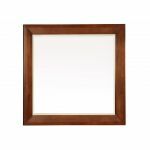 The Leona mirror is constructed of Solid American Alder and Alder Veneers in a Natural Alder finish. The clean lines and sleek hardware will make the Leona collection a beautiful addition to your master suite. The Leona chest is constructed of Solid American Alder and Alder Veneers in a Natural Alder finish. The clean lines and sleek hardware will make the Leona collection a beautiful addition to your master suite. 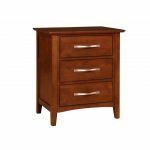 The Leona night stand is constructed of Solid American Alder and Alder Veneers in a Natural Alder finish. The clean lines and sleek hardware will make the Leona collection a beautiful addition to your master suite. 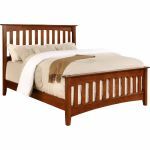 The Leona bed is constructed of Solid American Alder and Alder Veneers in a Natural Alder finish. The clean lines and sleek hardware will make the Leona collection a beautiful addition to your master suite. 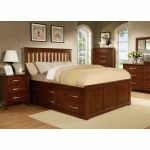 The Leona bedroom is constructed of Solid American Alder and Alder Veneers in a Natural Alder finish. The clean lines and sleek hardware will make the Leona collection a beautiful addition to your master suite.